Bag Balm is the ultimate hand balm skin solution. Versatile & intensely moisturizing, the original remedy helps maintain & revitalize skin like no other even in the toughest conditions. It's even recommended by CrossFit trainers and participants alike. 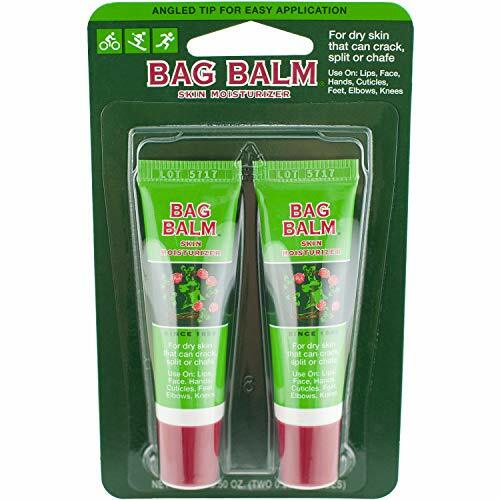 A small amount of Bag Balm applied to your lips, face, hands, cuticles, feet, elbows or knees works hard to moisturize and soften your severely dry, cracked, or chapped skin. It brings back childhood memories, and it still works the way it always has. We've heard from thousands of users over the years, everyone from ultra-runners, marathoners, cyclists, runners, and skiers, to quilters, gardeners, parents & pet-owners, even makeup artists and tattoo artists! The versatility of Bag Balm goes on and on. Vermont's Original Bag Balm Skin Moisturizer provides the protection you already rely on. Apply it to heels, elbows, lips, hands, feet, knees & anywhere else needing protection and repair from chapping, chafing & cracking, especially in winter months. Compare the tried & tested results of Vermont's Original Bag Balm products to similar products from Ahava, Burt's Bees, O'Keefes, Neutrogena, L'Occitane, Udderly Smooth, Gold Bond, Aveeno, JR Watkins, Eucerin, Lollia, Glysomed, Nivea or Workman's Friend.